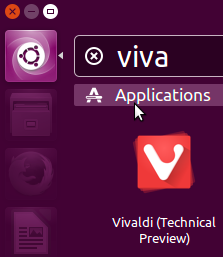 Vivaldi is a freeware web browser developed by Vivaldi Technologies, a company founded by former Opera Software cofounder and CEO Jon Stephenson von Tetzchner.The browser is aimed at staunch technologists, heavy Internet users, and previous Opera web browser users disgruntled by Opera's transition from the Presto layout engine to the Blink layout engine, which removed many popular features in the process. 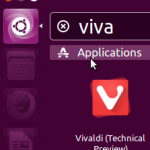 [ Vivaldi aims to revive the old, popular features of Opera 12 and introduce new, more innovative ones. We are all unique and we want different things. 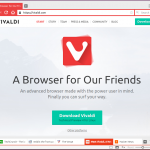 The Vivaldi web browser adapts to you, not the other way around. Do you like the browser tabs placed at the bottom or on the side of the window? 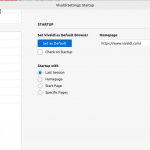 Maybe you prefer a different address bar location too? 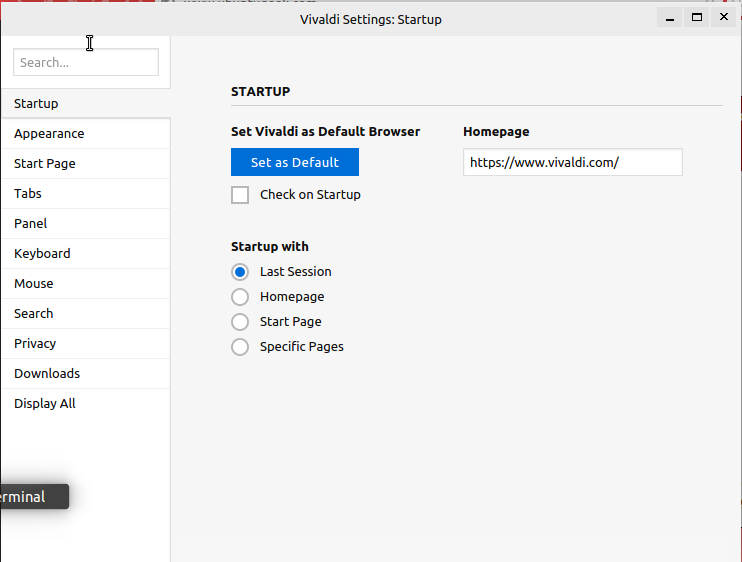 With Vivaldi you’ll be able to customize all that plus much more, such as your keyboard shortcuts, mouse gestures and so on. 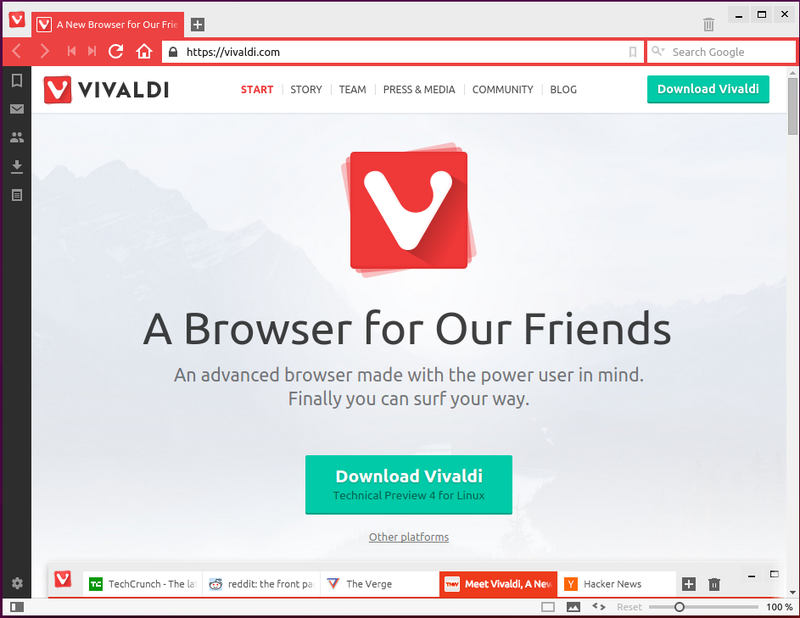 The Vivaldi web browser's color scheme will adapt as you browse the web, much like a chameleon adapts to its surroundings. A clean and modern look complements the content. Facebook turns the web browser blue, The Verge will make it orange — if you wish so. 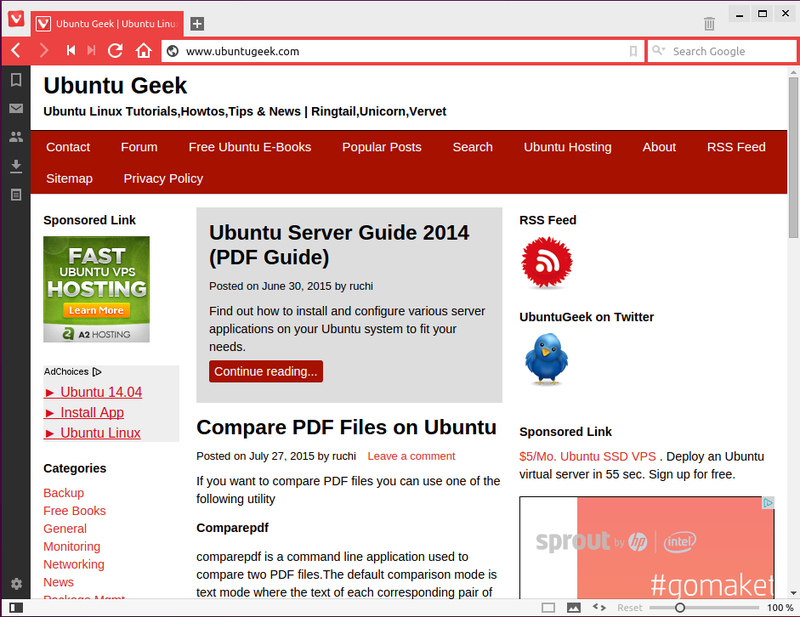 Do you sometimes want to compare two or more pages at once in your web browser? You can display stacked or selected tabs side by side or in a grid layout. Got a high resolution display? Check out page tiling, it’s pretty handy. Easy to use, always there when you need them. You need to download .deb file from here.Once you have deb file you can double click on it to install.